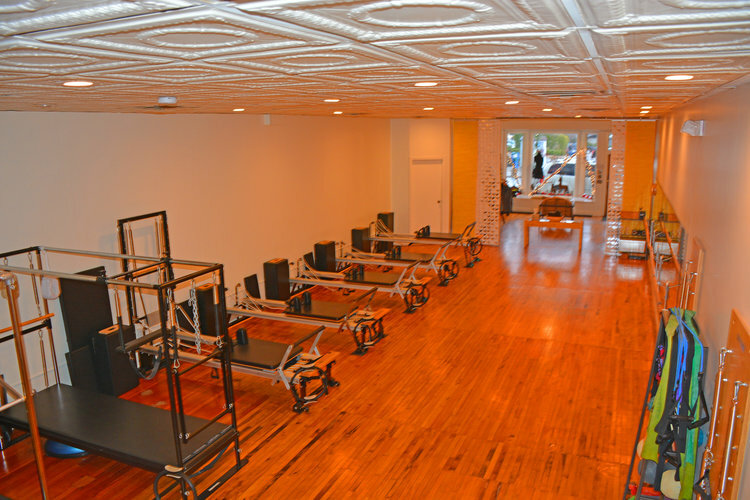 The first thing one notices when you walk into the door of C…Pilates is not the actual machines, or the wonderfully renovated building around the machines. No. 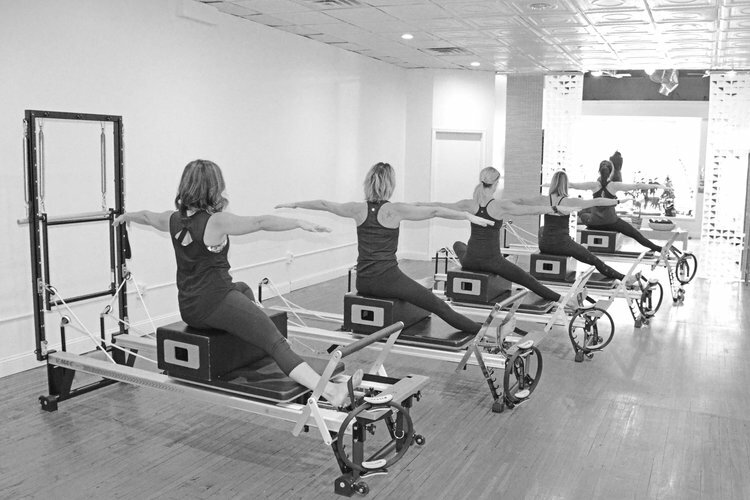 One is hit full force with the exuberance and the passion that is about Pilates and a lifestyle constructed around wellness. The concept? Increased core strength and improved balance, and the combination of those ideals under a consistency of thought leading to an improved, healthy lifestyle. When you sit and discuss this with Carrie, the force of her challenge to you is palpable. But fear not. Their clients range from 13 years old to 88 years old, and you develop a comfort level while quickly understanding that if you have any back pain or resistance to exercise and movement, those fears -and pains – soon disappear. She goes on to say that physical therapists have become interested in her specialty, and she helps with people having hip and knee replacements. However you may come to develop a lifestyle of fitness and wellness versus a disease/illness wait-and-see-attitude, C…Pilates can swiftly take you to the promised land. There is parking on Howard or across the street in the large city lot, so as with many of the highlighted fitness facilities in Downtown Petoskey, there’s no excuse for not getting there. Once more, after you’re done with your session at C…Pilates, Julienne Tomatoes is just a few storefronts away and Julie is always ready with a healthy lunch for a healthy appetite.